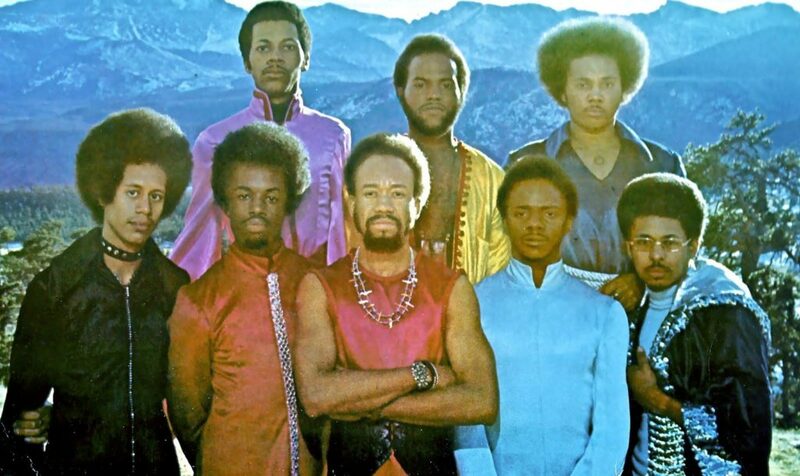 Earth, Wind & Fire was the biggest black rock band of the 1970s. But today, it’s among the era’s most misunderstood platinum acts. The group’s discography nearly mirrors black music’s evolution, from the Afrocentric jazz of the Black Panther years to the quiet storm balladry and slick corporate funk that marked the end of that tumultuous decade with a merciful whimper. Its visionary leader, songwriter, producer, multi-instrumentalist and vocalist Maurice White sought to encapsulate it all, and he succeeded remarkably. When you hear an Earth, Wind & Fire record, you know it. The soaring brass section led by Andrew Woolfolk and the Phenix Horns, the marvelous interplay between White’s cool spoken-sung vocals and Philip Bailey’s lush falsetto, and White’s kalimba (an African finger piano) gave them a unique, oft-copied sound. However, their capacity for hit singles has sometimes reduced them to pop culture clichés, whether it was 1979’s wildly over-the-top disco nugget “Boogie Wonderland” or Julia Louis-Dreyfus doing the funky white-girl dance to “Shining Star” on Seinfeld. Then there’s that other black rock juggernaut of the Seventies, Parliament-Funkadelic. The two organizations were rivals, and P-Funk figurehead George Clinton claimed that EWF was “earth, all wind, and no fire.” They celebrated the African-American experience in markedly different ways. P-Funk adopted a cryptic language based on street slang, black popular culture and authors like Ishmael Reed. Their music was often intentionally cryptic, which not only protected them from homogenization (or “the placebo syndrome”) but also created a cult of believers dedicated to propagating Clinton’s message of funk epiphany. White designed EWF as a mainstream rock experience that would introduce his ideas to a mass audience. He began his career in 1960s Chicago as a session drummer for Chess Records, and spent time gigging with contemporary jazz pianist Ramsey Lewis. By the time White moved out to Los Angeles with several friends to form EWF in 1970, he had begun developing a complex philosophy of cosmology, Afro-Christian spirituality, and New Age karma. As the group’s success grew, White’s use of Egyptian symbols like pyramids and hieroglyphs increased. Many critics blanched at his koan-like lyrics on songs like “All About Love” (from That’s The Way Of The World) and “Be Ever Wonderful” (from All ‘N All). He was aware of his detractors. On the latter, he sang, “What I’d like to tell you may not be what you see.” Another All ‘N All track, “Runnin’,” juxtaposed chants of “You want to get down, you got to take it on up” with White’s edict that “If you don’t understand, it’s your fault.” Although not all of EWF’s millions of fans (or even some of its members) dig as deep as this cheat sheet or understand the Egyptology references, they love the band for its life-affirming music.